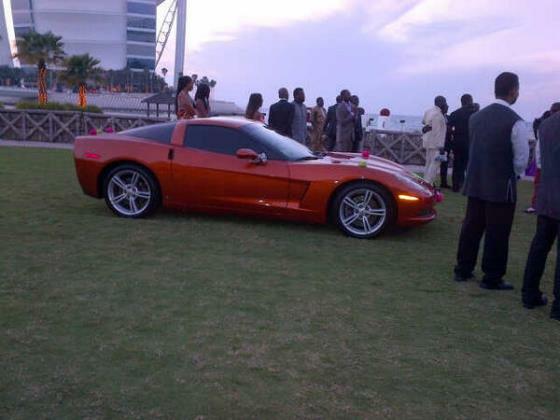 The Orabella's Blog...: 2face & Annie Idibia get a 2013 Chevy Corvette Car as Gift By Senator David Mark - Yet Senator Denies !!! 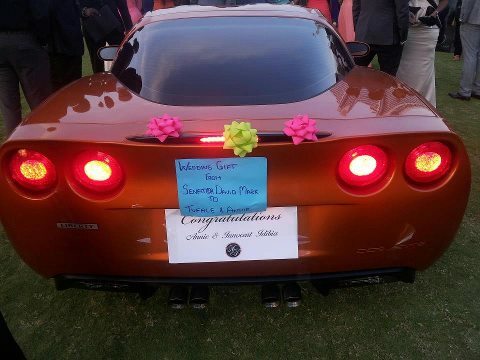 2face & Annie Idibia get a 2013 Chevy Corvette Car as Gift By Senator David Mark - Yet Senator Denies !!! Senaot Mark did not visit Dubai for tuface wedding rather he attended the 128th Inter Parliamentary Union (IPU) conference currently holding in Quito Ecuador. He was not represented at Mr. Idibia's wedding. It is also instructive to state that the President of the Senate, Senator Mark, did not make a car donation of any kind to Tuface before departing Nigeria for Ecuador neither did he purchase nor send any car to Dubai as a wedding gift for the musician or his wife. Who made the donation on behalf of the President of the Senate? It is therefore a puerile lie for anybody to state that Senator Mark bought a Ferrari car worth N47m for Tuface. The allegation is wicked, ridiculous and irresponsible. Surprisingly there is a card just at the back of the car which writes "'Wedding Gift from Senator David Mark to Tuface & Annie". There is so much disparity regarding this car, more facts should be probed so that the lovebirds can ascertain the individual that gave them this gift. By the way this Chevy Corvette sport car is damn lovely, the red colour is very captivating.